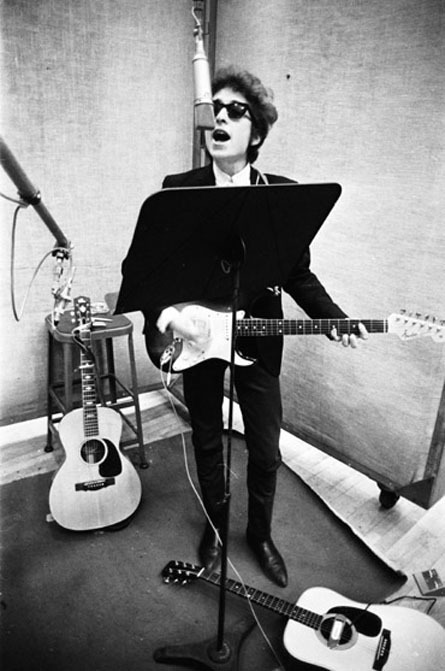 Eventually Dylan’s uniqueness brought him to the attention of Columbia Records’ John Hammond and although Dylan’s voice was not the standard at Columbia—home to the beautiful voices of those like Tony Bennett and Johnny Mathis—Hammond’s track record for sales convinced the executives at Columbia that Dylan would be worth their investment. It was with Columbia that Dylan’s massive repertoire (over 600 original compositions) would take off and progress over the course of the last half-century. Throughout his career Dylan’s music has undergone several significant shifts. In 1965 he ‘went electric’ with Bringing It All Back Home. This transition brought about accusations of ‘going commercial’ for money and fame. Famously, one audience member criticised Dylan, exclaiming ‘Judas!’ during a now-infamous performance at Royal Albert Hall in 1966. In 1966, not long after the release of his third electric record, Blonde on Blonde, Dylan was injured badly in a motorcycle accident. ‘Truth was that I wanted to get out of the rat race,’ Dylan writes. ‘Having children changed my life and segregated me from just about everybody and everything that was going on.’ (Chronicles, 114) He refrained from touring for the next eight years, but still wrote and recorded prolifically. During this time he returned to more traditional roots and explored country music with several excellent pieces such as ‘I Dreamed I Saw St Augustine’, ‘Lay, Lady, Lay’, ‘If Not For You’ and ‘Knockin’ on Heaven’s Door’, but had not achieved a significant amount of critical or commercial success—at least anything that could be likened to the success of his earlier material—until the release of Blood on the Tracks in 1975. 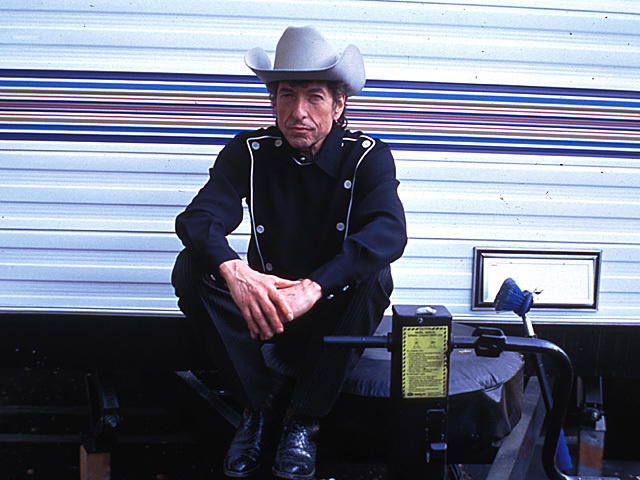 Dylan describes Blood on the Tracks as a product of his ‘painting period’ in which the songs were more ‘like a painter would paint’ rather than those a musician would compose. In The Cambridge Companion to Bob Dylan, Carrie Brownstein writes, ‘By examining music from a visual perspective, with colours and lines instead of notes and chords, Dylan laid out on the canvas what would be Blood on the Tracks.’ (Kevin J. H. Dettmar, ed., The Cambridge Companion to Bob Dylan, Part I [Cambridge: Cambridge, 2009], 157). As can be observed from many of his early influences such as Hank Williams’ ‘When God Comes and Gathers His Jewels’ and Woody Guthrie’s ‘Jesus Christ’, Dylan was not unfamiliar with the usage of religious motifs. He employed them in his own work on a regular basis, as is the case with ‘Masters of War’, ‘With God on Our Side’, ‘All Along the Watchtower’, etc. At the time, these expressions were not so much a matter of Dylan’s personal faith as they were the custom of the tradition he was drawing from and his employment of the language of a largely ‘Christian’-literate American society. But by the mid-seventies Dylan began to gain greater interest in religion and God. In a 1975 interview for People magazine Dylan expressed, ‘I’m doing God’s work. That’s all I know.’ Dylan’s interest in faith continued to grow in the late 70s and he converted to Christianity in 1978. Not long after this he began work on his first ‘born-again’ record, Slow Train Coming. Regardless of however outspoken and off-putting Dylan’s conversion might have been to many fans at the time, the single ‘Gotta Serve Somebody’ earned him his first Grammy Award for ‘Best Vocal Performance’ in 1979. While I can’t deny that his work from the mid-eighties through the early-nineties is not my favourite, the magic of Dylan’s music and his ability to constantly reinvent himself en route to ‘becoming’ have significantly shaped the way I see music and how I both personally and creatively interact with the world. Because of this profound and unparalleled impact in my life he belongs nowhere but in this number one slot. 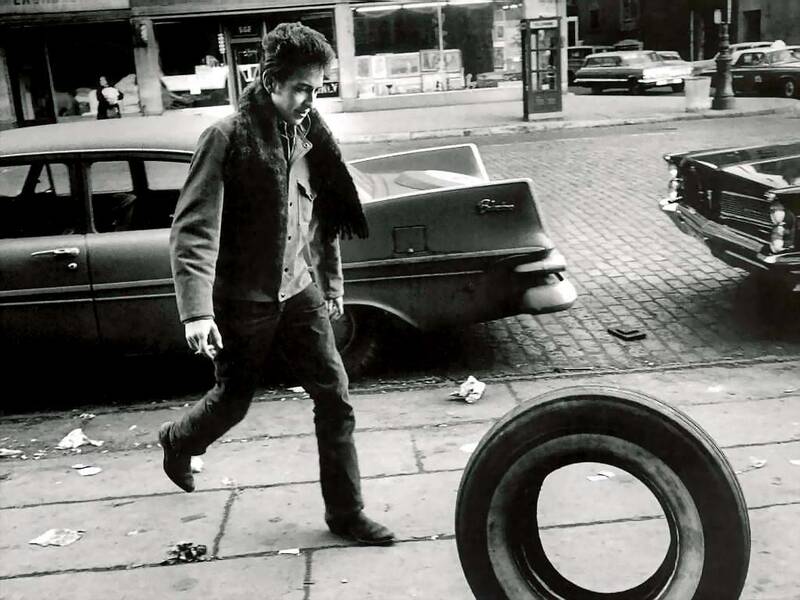 Three of his records can be found on my Top 50 Albums list (and actually reveal my partiality to his earlier material): The Freewheelin’ Bob Dylan (1963), The Times They Are A-Changin’ (1964) and Blonde on Blonde (1966). Great list, Elijah! Loved reading your insights. Thanks for reading and sharing. I’m glad you enjoyed the list. The Bob Dylan film festival idea has cropped up in my mind on occasion also. Does that mean we’re both cool or that we’re both pathetic?